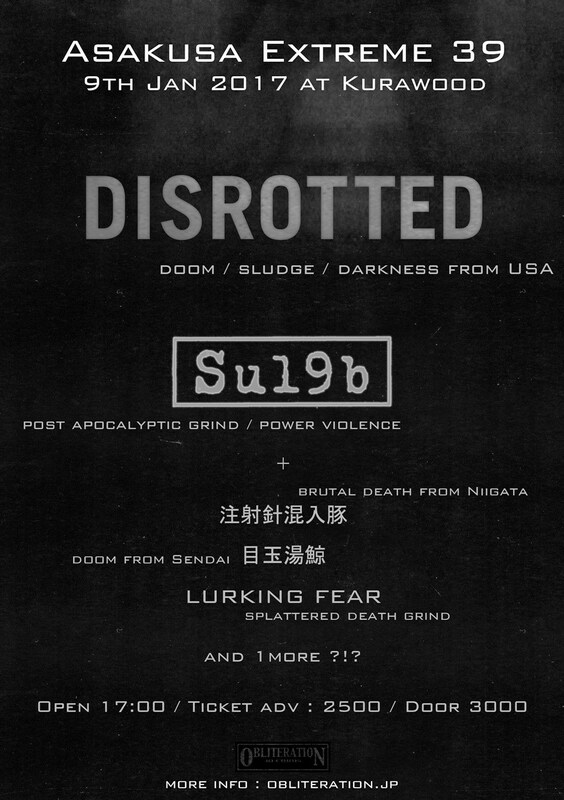 Disrotted first came through Japan in late 2015, just in time to mix bodily fluids with both the first TJLA Fest and the last Obscene Extreme festival - talk about great timing, right? 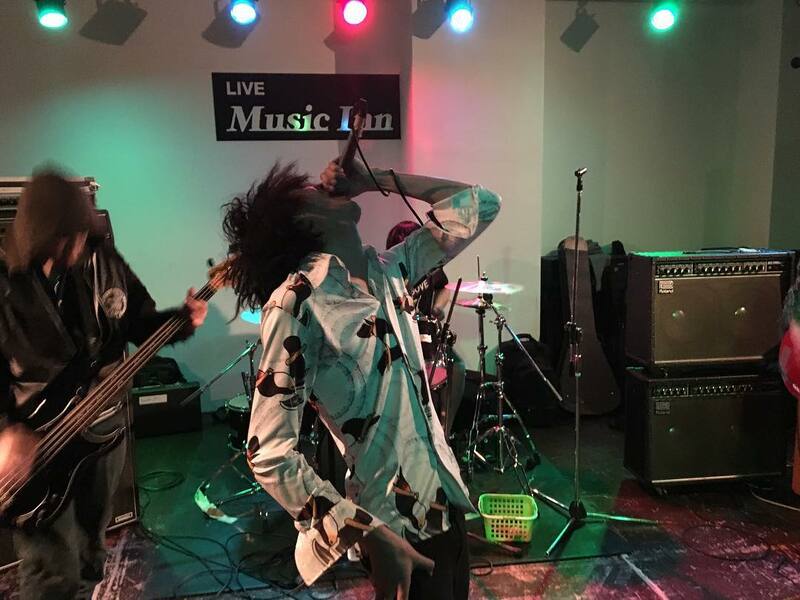 When I heard that they were planning on bursting the eardrums of Japan's underground again in 2017, I immediately reached out to see how they've been, what they've been up to, and what they're expecting this time around. Matt Ketchum: So, its been almost exactly a year since you last came through Japan. What are some developments in the band that have happened in that time? Adam Jennings: Hey dude! Man, this year has flown by! After we got home from the last Japan tour, we went into writing mode. 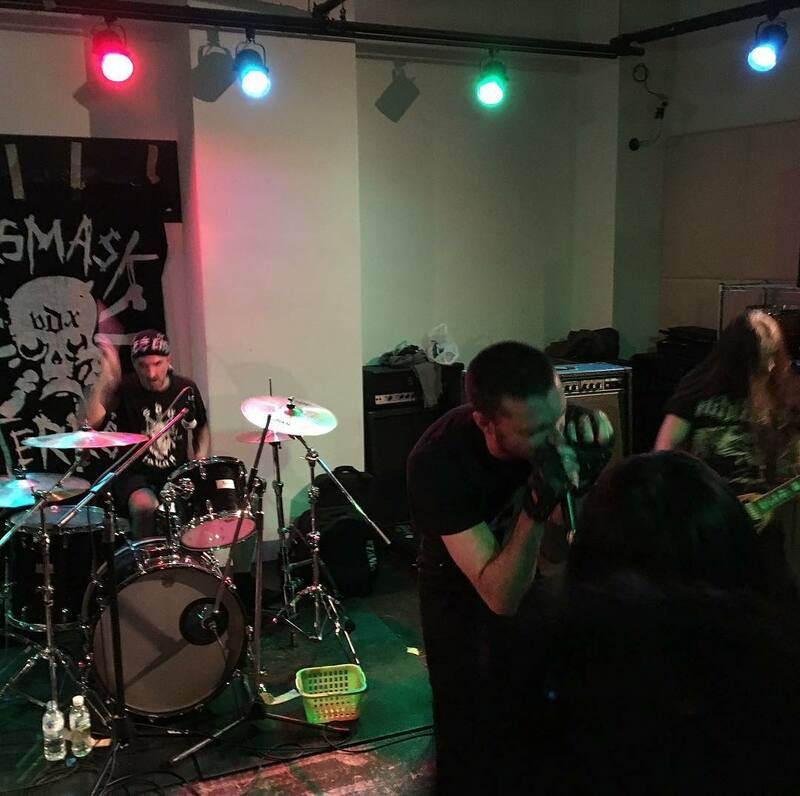 In 2016 we knocked out a few new songs for splits with Ledge, IRN, Moloch and Cloud Rat. With all of our new songs clocking in at nearly 20 minutes these days, it takes a while to really nail one down. All of the mentioned splits have been recorded (aside from the Cloud Rat one) and should be out in the early part of 2017. We also released our 2nd full length LP this year, which came out on Nerve Altar. We played a killer fest in Montreal as well, but that was the only real non-local show we did. John and I are also full time students, so it's been crazy. MK: If I remember correctly, your last tour with Su19b was also not a “pure” tour in that you played maybe half of the dates together and the other half separately. This tour seems to follow suit. Any reason for that? 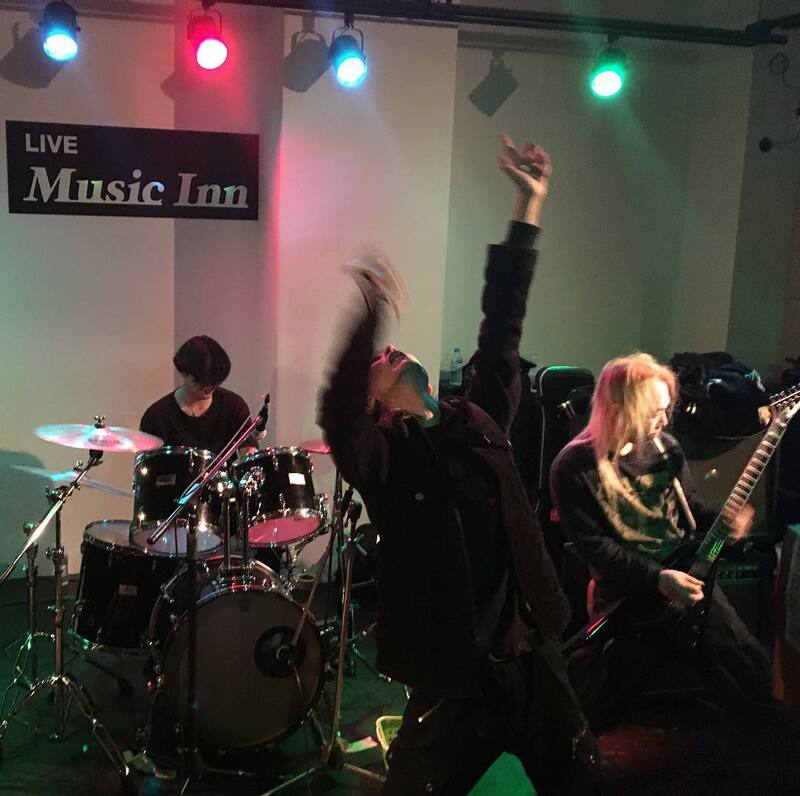 AJ: I think both bands really want to do a full on proper tour together, but I think Su19b had some work commitments which did not allow for it to happen this time around. The next time we come to Japan (there will absolutely be a next time) we hope to have them on all of the dates. MK: Elephant in the room: 4 of your 6 shows are basically in Tokyo. What gives? AJ: We wanted to spend some more time in the city and really enjoy the sights while also playing some gigs. The last tour we were running around and weren't able to really take in some of the sights as much as we wanted to. Next tour though will be much more spread out throughout the country. 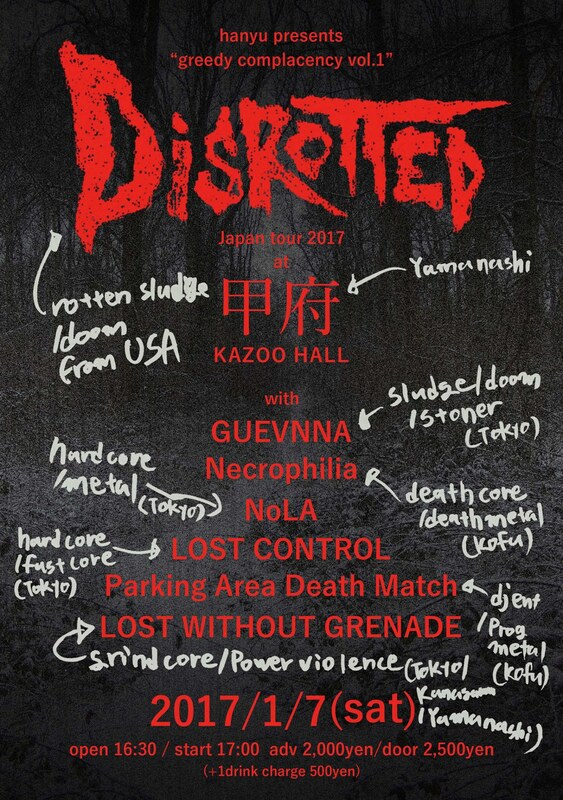 MK: This time around you’ve got a good bit of variety: 4 Disrotted shows, 1 collaboration with GUILTY C, and 1 with Winters in Osaka on the bill. How did the decision to really mix things up this time around come about? Its rare to see that sort of variety, and I’m sure it will create some interest more than what was already there. AJ: Well, the last time we played in Osaka, our friend GUILTY C was not in town. I have been a big fan of his work for over a decade, and was thrilled that he agreed to take part of our side of the Su19b split. It was only natural, then, to ask him to do a collaboration set this time around. We are going to record it and release it as a cassette when we get back. 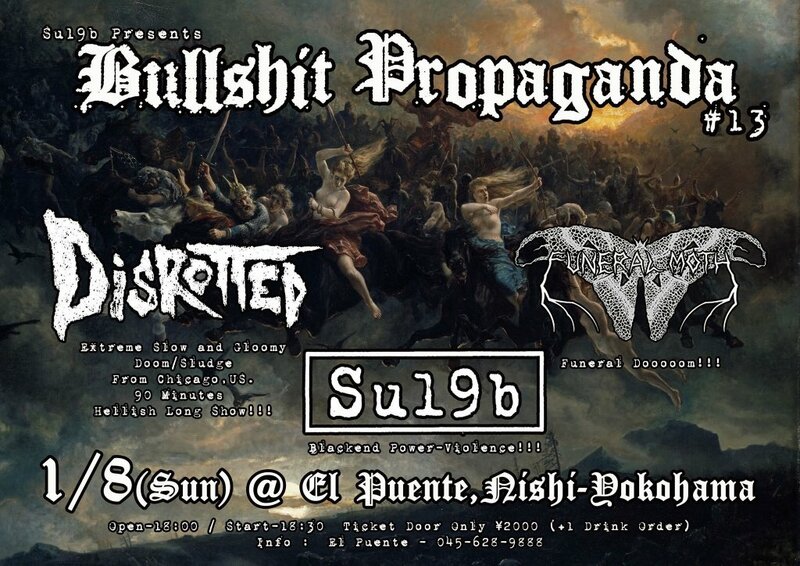 Our friend Tom from Catasexual Urge Motivation put down some guest vocals on the IRN split, and we will be performing together at the El Puente show in Yokohama. Honestly, we are preparing a much more varied show this time around. The Yokohama show is going to be a 90 minute doom marathon and will be the longest set we have ever played. 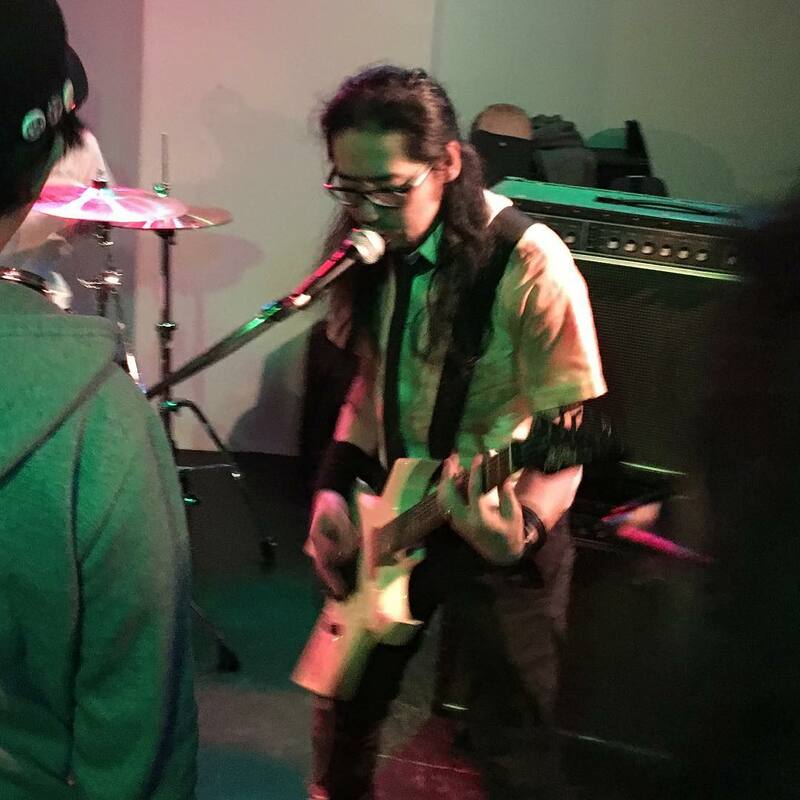 The collaborations with Tetuzi Akiyama and GUILTY C will allow us to showcase more of our noise influence and background as well. 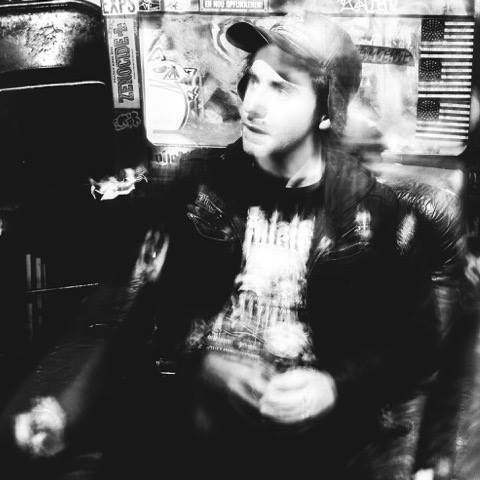 Disrotted is our metal band, but all 3 members of the band are/have been in projects that are more in the industrial/drone/ambient/noise genres. MK: Follow-up: Winters in Osaka hasn’t been active for quite some time, right? Given that’s the case, does that mean there will be old material, new material, a mix, or is it a secret? AJ: Technically, the last WIO show took place 3 years ago in Chicago. 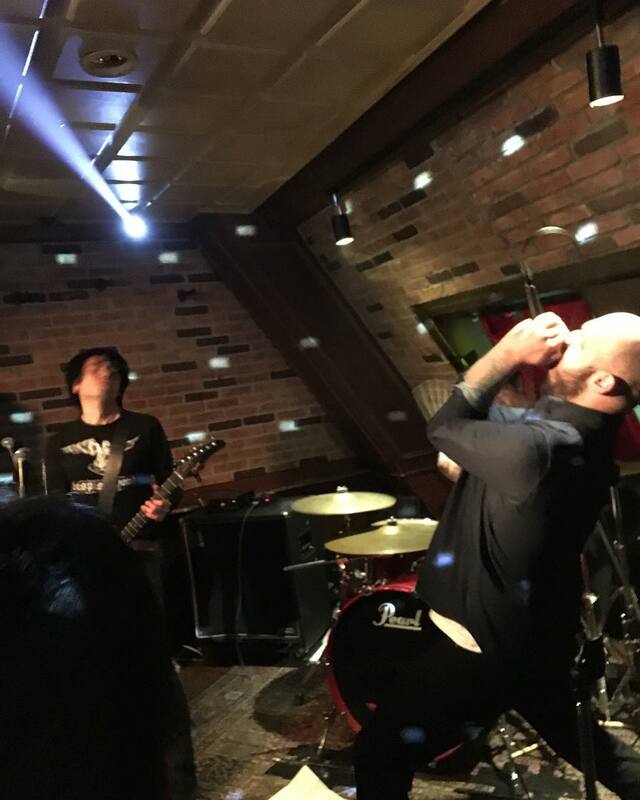 In 2014 though, I did a Winters in Osaka collaboration at Earthdom in Tokyo alongside members of Brutal Truth, Napalm Death and S.O.B. 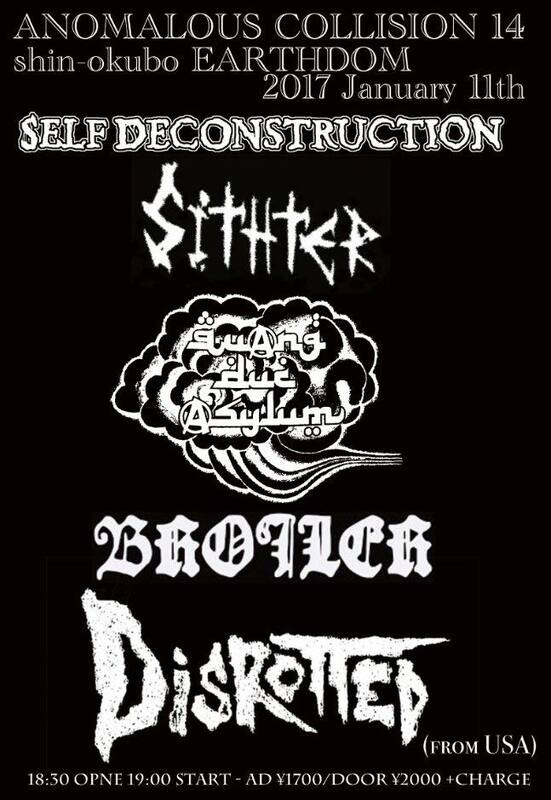 I have not touched my gear since that show though, so it's pretty exciting to be able to do a set while Disrotted is on tour. It was one of our off nights, yet my friend Tetuzi Akiyama, who is an acclaimed improvisational guitar player, and I have been trying to work together in a live setting for a long time. It will be a small, intimate gig and I am really excited to be doing it. There is also a warm up gig in Chicago a few days before our flight. There will be a mixture of old sounds as well as new loops that I had been working on right before the hiatus that had never been used. MK: You played only Japan last year, but have 2 Korean dates for the upcoming tour. How’d that come about, and what are your expectations? AJ: Yuying from Gonguri had seen us when we played last year and was in touch with us about one day coming to Korea. A few months later, we had this tour booked and thought that it would be a great opportunity and experience to play there as well. I am extremely excited to play, and I think it will be a wonderful experience. There are a lot of local bands playing on the two shows that cover a wide range of genres, so I am expecting to come home with a lot of cd's and tapes from the trip. MK: For that matter, what are you expecting of Japan? The scene’s been accelerating at a decent clip since you were last in town, particularly with Doom making some pretty serious headway as a genre, which kinda plays in your favor. AJ: That is really awesome to hear! I am excited to see some new bands, and I am thrilled to catch the bands who we played with last year - like the mighty GUEVNNA and Self Deconstruction. I am expecting to have a great time like I always do when visiting Japan. 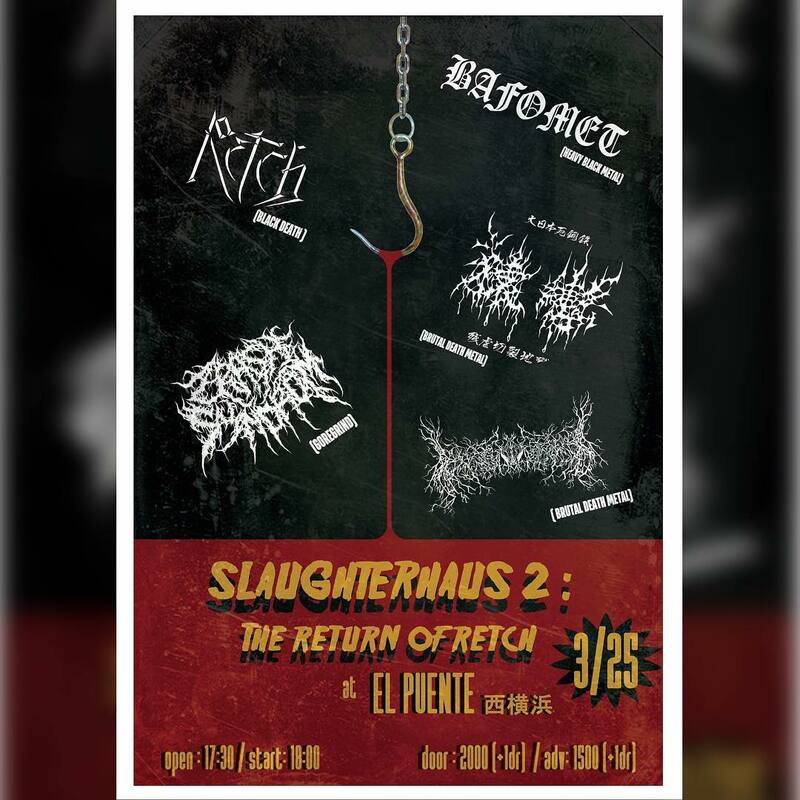 We are really excited to play the new songs we have written, and we will also have copies of the new album as well (Naru from Obliteration Records went above and beyond for us yet again!). 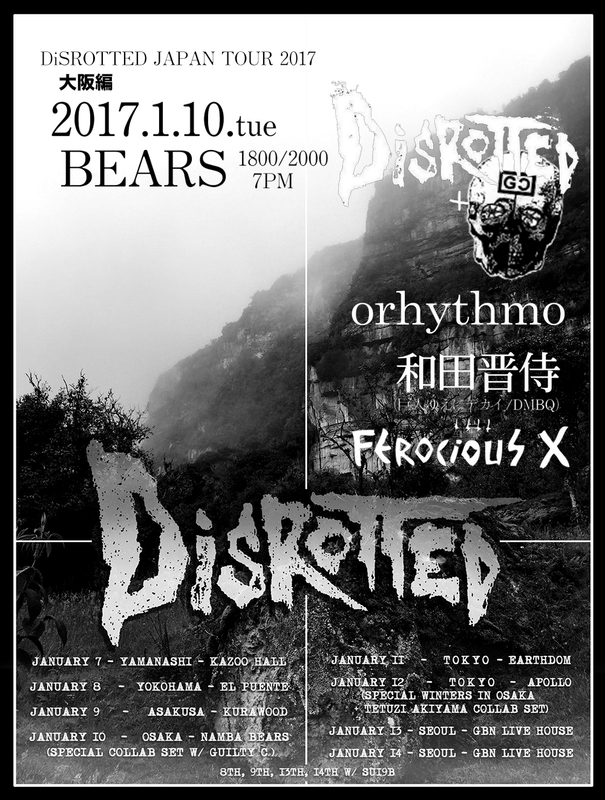 Disrotted's tour starts up January 7th, 2017. 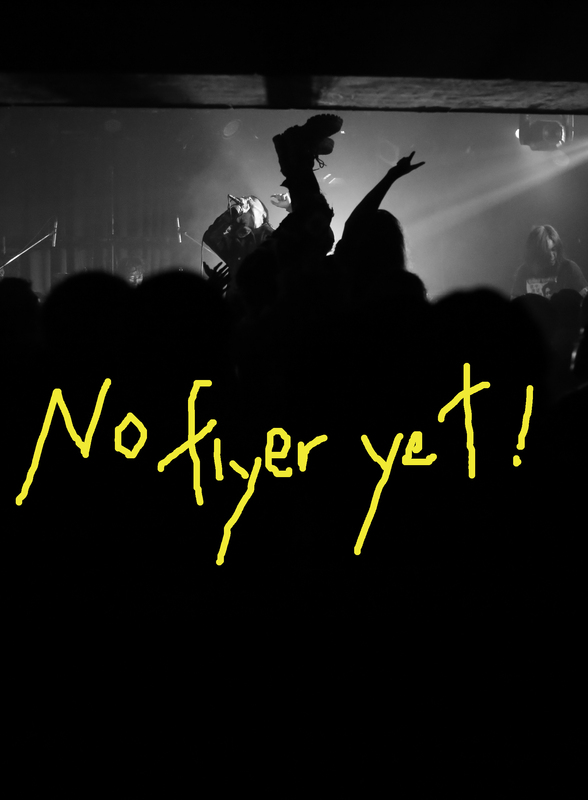 Don't miss out on the slowest sludge from the other side of the Pacific!